Speaking to MTV Aaron Eckhart has revealed the plain obvious "Chris and I had a meeting, on the beach, just the two of us. I said, ‘Chris, a lot of people are asking me if I’m in the next ‘Batman.’ And Chris said, ‘Yes?’ I said, ‘Am I?’ He looked at me and he said, ‘No.’ Sad to hear that?" “I was heartbroken,” the actor says. “But Chris has his reasons and my life must go on.” And so must we. 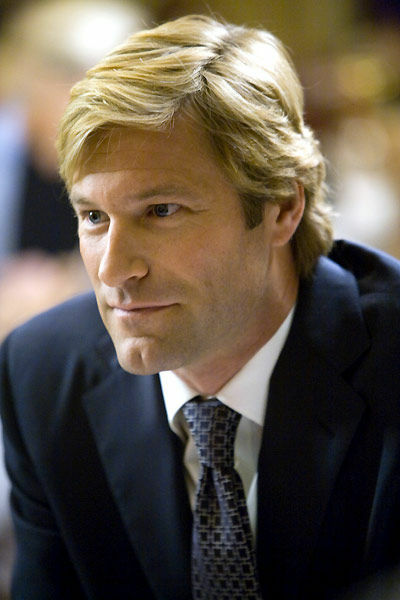 I'm reading: AARON ECKHART REVEALS TWOFACE IS NOT INVOLVED IN [THE DARK KNIGHT RISES] ...NO S**T AARONTweet this!